Vyvyan Evans is Professor of Linguistics at Bangor University and author of numerous books relating to cognitive linguistics. These include How Words Mean, The Structure of Time, The Semantics of English Prepositions (with Andrea Tyler), Cognitive Linguistics (with Melanie Green), and A Glossary of Cognitive Linguistics. Benjamin K. Bergen is Associate Professor in the Department of Cognitive Science at the University of California, San Diego. He has published widely in cognitive, computational, neuro-, and psycholinguistics. Topics that his research touches include embodiment in syntax and semantics, linguistic relativism, natural language understanding, and connectionist language modeling. Jörg Zinken is Senior Lecturer of Psychology of Communication and coordinator of the Language, Culture and Mind Research Group at the University of Portsmouth. His research interests cover topics from the interface between anthropological and cognitive linguistics, including universals and variation in multifunctionality patterns, contextual models of metaphor, and the semantics of prosody and syntax. Cognitive Linguistics is the most rapidly expanding school in modern Linguistics. It aims to create a scientific approach to the study of language, incorporating the tools of philosophy, neuroscience and computer science. Cognitive approaches to language were initially based on philosophical thinking about the mind, but more recent work emphasizes the importance of convergent evidence from a broad empirical and methodological base. The Cognitive Linguistics Reader brings together the key writings of the last two decades, both the classic foundational pieces and contemporary work. The essays and articles – selected to represent the full range, scope and diversity of the Cognitive Linguistics enterprise – are grouped by theme into sections with each section separately introduced. The book opens with a broad overview of Cognitive Linguistics designed for the introductory reader and closes with detailed further reading to guide the reader through the proliferating literature. 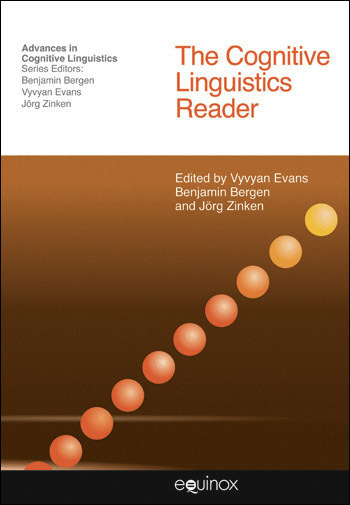 The Cognitive Linguistics Reader is both an ideal introduction to the full breadth and depth of Cognitive Linguistics and a single work of reference bringing together the most significant work in the field. Cognitive Linguistics is the most rapidly expanding school in modern Linguistics. It aims to create a scientific approach to the study of language, incorporating the tools of philosophy, neuroscience and computer science. Cognitive approaches to language were initially based on philosophical thinking about the mind, but more recent work emphasizes the importance of convergent evidence from a broad empirical and methodological base. The Cognitive Linguistics Reader brings together the key writings of the last two decades, both the classic foundational pieces and contemporary work. The essays and articles – selected to represent the full range, scope and diversity of the Cognitive Linguistics enterprise – are grouped by theme into sections with each section separately introduced. The book opens with a broad overview of Cognitive Linguistics designed for the introductory reader and closes with detailed further reading to guide the reader through the proliferating literature. The Cognitive Linguistics Reader is both an ideal introduction to the full breadth and depth of Cognitive Linguistics and a single work of reference bringing together the most significant work in the field. 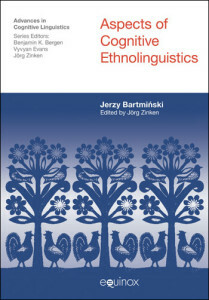 The book opens with an extended, original chapter by the volume editors offering a broad overview of Cognitive Linguistics designed for the introductory reader. This chapter offers an overview of the content of the section devoted to empirical methods in cognitive linguistics. The book opens with an argument for the importance to linguistics of defining theoretical models that make empirical predictions suitable for testing. This essay presents implementable statistical means for investigating how words interact with larger constructions in large language corpora. The study addressed in this essay, the last in the section, exemplifies recent work investigating neural activity underlying the use of metaphor and conceptual integration, central areas of cognitive linguistic study. This chapter offers an overview of the contents of the section devoted to prototypes, polysemy and word-meaning. In this essay, George Lakoff summarizes his seminal work on categorization and the theory of idealized cognitive models which he proposed. In this essay, the author takes up the topic of Prototypicality, which is representative of his work on the diachronic aspects of lexical semantic change. In this essay, the authors employ the model of Principled Polysemy in a re-analysis of the preposition ‘over’ , attempting to provide a methodologically constrained account of the semantics associated with the word. This essay is primarily concerned with the need to account for and model the conceptual knowledge that lexical items provide access to, or, in the author’s terms, are ‘relatavised to’. A ‘frame’ being a schamtisation of experience (a knowledge structure). This chapter offers an overview of the section devoted to Metaphor, Metonymy and Blending. In this essay, the author discusses three kinds of generalizations that leas to the identification of conceptual metaphor. Generalizations over polysemous words, generalizations over the patterns of inference of such polysemous words in their different contexts and generalizations over conventional and novel metaphors. In this essay, the author compares ‘correlation metaphors’ with a more traditional type of metaphor, which he terms ‘ resemblance metaphors, understood on the basis of stereotypical impressions about the source concept. This essay provides an extensive typology of metonymic relationships to produce a synthesis of the research efforts of a number of researchers working on a distinctive cognitive linguistic approach to metonymy. This paper offers a very complete technical exposition of Blending Theory, which takes the interest in cognitive semantics in imaginative language and thought to another level. This essay discusses the possibilities of integrating the perspectives of Conceptual Metaphor Theory and Blending Theory. This chapter offers an overview of the contents of the section devoted to cognitive approaches to grammar. This chapter comprises Langacker’s seminal introduction to cognitive grammar, which has in the decades since its original publication developed into the most fully formed and influential cognitive theory of grammar. This essay provides a complement to the preceding theoretical chapter by providing a wealth of typological analysis. This essay represents a stream of grammatical theory known as Construction Grammar and applies that theory to the case of ‘let alone’. In this essay, the author surveys the current state of construction grammars, identifying their key components and distinguishing them from competing models. This contribution introduces Embodied Construction Grammar which weds together key elements of Cognitive Grammar and construction grammars, by applying the formal rigor of constructional approaches in the context of an embodied theory of language understanding. This chapter provides an overview of the contents of the section of the book devoted to conceptual structure in language. This paper relates to the schematic system of FORCE-DYNAMICS and argues that this system, as it is manifested in semantic structure, relates to the way in which objects are conceived relative to the exertion of force, which derives in embodied terms, from the haptic system. In contrast to the previous paper in this section, this chapter is concerned with the way the open-class semantic system encodes conceptual structure, here relating to the domain of TIME and employs novel lexical semantic analysis of the lexeme TIME. This paper argues that spatial representation in language encodes spacial scenes which reflects our conceptualization of space. This chapter provides an overview of the section of the book devoted to language acquisition, diversity and change. In this essay the authors argue that children actively construct semantic categories from the language they grow into. They provide a synthesis of their research into the acquisition of morphemes expressing spatial relations by Dutch and Korean children and argue that children do more than merely match the ‘labels’ that language provides with the appropriate fully-formed concepts. Whorfian effects, in the classical sense of diversity in non-linguistic cognition that is correlated with the diversity in semantic categories, are addressed in this chapter through the presentation of a series of experiments that show such a correlation with respect to conventional figurative expressions used in English and Mandarin for talking about temporal relations. 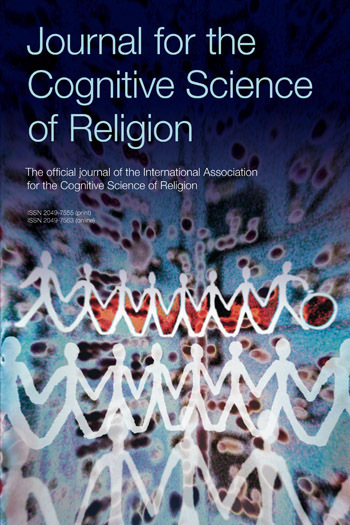 The essay provides an overview of the author’s research on the ‘thinking for speaking’ framework and places it in a general framework for the study of Whorfian effects of language on cognition. In this essay the author argues against an ‘essentialist’ view which defines language as a system of abstract rules; instead, in his evolutionary model of language, the utterance is the fundamental unit of analysis. By adopting such a radically usage-based approach, the author integrates change as an integral part for a theory of language and encourages the discussion of the representationalist view of meaning underlying much of cognitive semantics. The book closes with detailed further reading to guide the reader through the proliferating literature.